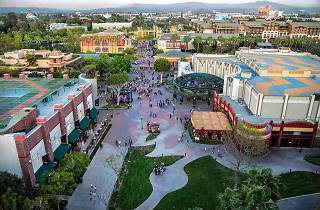 Take a stroll through the whimsical, outdoor shopping center for a mix of Disney specialty shops and buzzy dining spots. 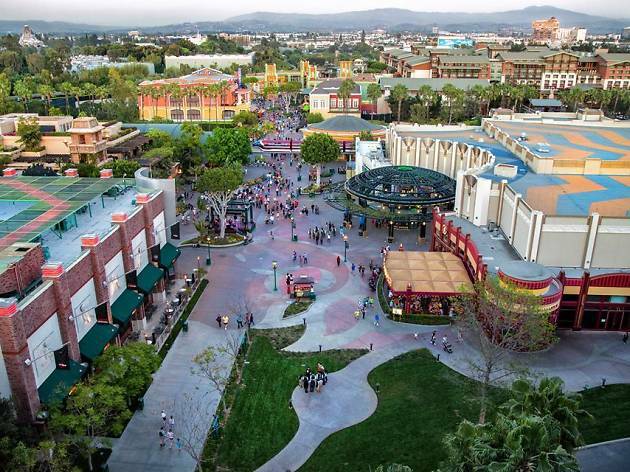 Located just outside of the theme parks, the linear stretch of magical shops and eateries offers a taste of the magic throughout Disneyland's Main Street. While all the eye-catching retailers are at least worth poking through, there's three top stores that seem to stand out above the rest: WonderGround Gallery offers an eclectic collection of contemporary art from emerging local artists; Disney Vault 28 is a go-to for fashion-forward womenswear and designer handbags; D-Street is stocked with "urban-inspired, geek chic" apparel, collectibles and accessories for the ultimate Disney fans. If you're looking to take home a Disney momento, this is a souvenier paradise.